The Kunsthal Rotterdam exists by virtue of local, national and international collaboration. 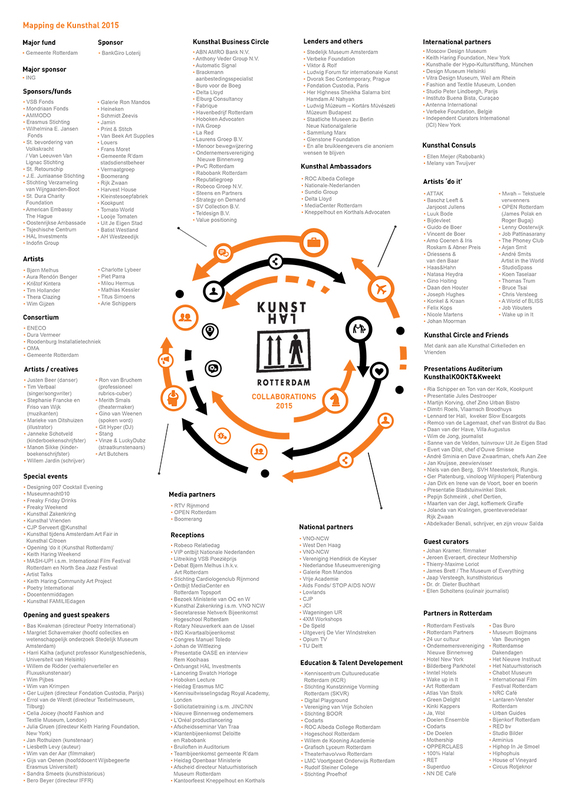 This mindmap visualises the businesses, sponsors, museums, relations, donors, lenders, artists and many others with whom the Kunsthal collaborated in 2015. The Kunsthal thanks all of the partners involved!